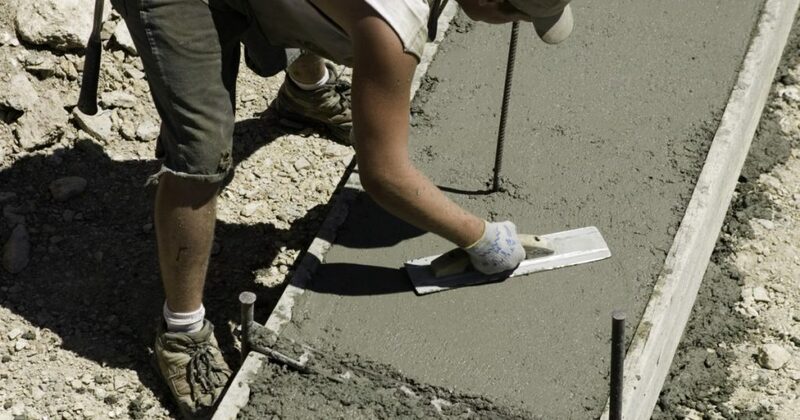 We provide general liability insurance also known as contractors liability insurance for concrete forming and framing contractors across Ontario, Canada. Any contractor business that does work on residential and/or commercial properties must be insured under a commercial general liability insurance policy for a limit that is no less than $2,000,000. Many people mistakenly believe that concrete framing is a very basic job with few risks. While these professionals will probably face fewer risks than others, there are still some risks involved. For example, pretty much every Canadian contractor business in Hamilton, Ontario could run into significant problems with their clients. Even if you’ve gone the extra mile to satisfy your client, there will be a possibility that something will go awry. This is why it is absolutely vital to prepare for the worst possible scenario and to protect yourself to the fullest. As a concrete form and framing contractor, you owe it to yourself, your family and your employees to acquire general liability insurance right now. Within this comprehensive guide, this type of insurance will be explored in much greater depth. What is general liability insurance all about? What can it possibly do for you and your business? The truth of the matter is that general liability insurance is the best protection that a Canadian business can acquire. This type of insurance will protect you from a vast number of problems, while also shielding you from potential lawsuits from disgruntled clients. Even if you’ve never been the subject of a lawsuit, there is a possibility that you will be in the future. Therefore, you should take actions to protect yourself from disgruntled clients. General liability can protect you in the event of damaged property, bodily harm and even personal injuries. To keep your business safe, it is best to pay for this type of insurance. Limit your exposures and keep your business afloat with a sufficient amount of insurance policy coverage for contractors. Apply for Concrete Form And Framing General Liability Insurance Quote Now! As you probably already realize, general liability insurance is not limitless. When you sign up for a policy, you will be required to choose limits. There are two types of limits available. You can opt for a limit per each case or you can opt for an annual limit. At the same time, you will be required to choose the overall quantity of the limit. In order to guarantee that you make the right choice, you’ll need to sit down with your team and gain a better understand of your company’s risks. Higher limits will equate in higher premiums, but higher limits may be worth it in many instances. With that being said, you need to find out what works best for your business. You should not be scared to pay higher premiums for higher limits, but you should be cautious with your budget. Working with a broker that is familiar with your respective industry is highly recommended. They’ll understand the risks that you face and they’ll be able to help you acquire the insurance that is best for you. What Can Affect The Cost Of Liability Insurance? While some concrete framing contractors will obtain liability insurance prior to opening their business, others will delay as long as possible. It is important to note that some people will not even consider hiring a contractor who is not fully insured. So, if you want to improve your chances of winning a contract, you will need to obtain liability insurance prior to placing a bid. There are many factors that can affect liability insurance premiums, including risk of work, annual profit, nature of work, company size and claim history. Working in concrete and framing can be rather risky for all involved, which means that you should expect to pay a higher premium than a call center. Insurance companies are not willing to put themselves at risk of losing money and neither should you. Keep in mind that more chance of a claim equals higher insurance premiums. If you are prepared to receive a high premium right from the get go, it will not be a shock to your system, when you receive the actual quote. When you consider the fact that contractor liability insurance protects from 95 to 100 percent of financial loss related to mishaps, the cost will seem insignificant. If you fail to obtain coverage, you may end up losing out on contract opportunities or end up facing a lawsuit without protection. Finding the right general liability insurance for your company can be more difficult than you might think. You’ll need to find the right coverage and the right limit. Do not worry, because we’re here to help you. Whether you have questions or are ready to get started as a GTA professional, you need to find a toronto contractor insurance broker that is willing to aid you ever step of the way. Get in touch with us to see what we can do for you today!